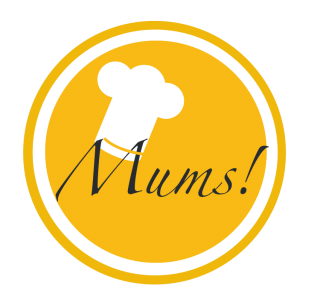 Where the wild things are – Mums! On this plate – that’s where the wild things are. Ten of them to be more precise. And I’m quite sure, this is the supper Max enjoyed after returning home from his imaginative adventures. Start with step 10: Bring 250 ml unsweetened cranberry juice, 1 tbsp honey and 1 tsp cloves to the boil. Add 3 bloomed gelatine leaves. Whisk until the gelatine is dissolved. Transfer to a jar and allow to cool completely. Continue with step 9: Glace roasted and peeled chestnuts in butter and honey. Taste with cinnamon. Allow to caramelize. Now, step 8: Peel and chop purple potatoes. Boil in salted water until tender. Remove excess water, add butter and nutmeg. Mash until smooth. Step 7: In the meantime, peel and dice butternut squash. Drizzle with olive oil, salt and garlic. Bake at 180°C until soft. Step 6: Also in the meantime, trim the Brussels sprouts and steam them until soft. Season with salt. Continue with step 5: Roast the morels in a dry pan. Season with salt. Add butter, Malaga and heavy cream. Add the dripping and meat juice from the next steps. Let reduce until thickish. And finally, steps 1 to 4: Cut the salami into thin slices. Fry them in a dry pan. Remove the chips from the pan an add butter and rosemary to the salami fat. Fry the rest of the meat in that lovely, tasty fat. Plate, for instance in a row, and decorate with edible flowers (like a mallow).